SRINAGAR: Strongly condemning the dastardly twin attacks at the Iranian Parliament and the mausoleum of Ayatollah Khomeini in Tehran, Minister of Sports, IT and Technical Education, Moulvi Imran Raza Ansari today said such cowardice acts serve no purpose except bringing destruction and victimizing the innocent people. “Such dastardly acts of senseless violence are being perpetrated to create chaos, scare, confusion and wedge between Muslim Ummah,” Ansari said and added that for Almighty Allah, every life is sacred and killing of a single human life is an attack on whole humanity. Expressing Solidarity with the supreme leader of Islamic revolution and the Iranian nation Imam Khomeini Memorial Trust Chairman has condemned ISIS terror attack. While speaking to media IKMT chairman Shiekh Hussain Lutfi said that the attack was the outcome of recent Riyad summit under the leadership of US president Donald trump. 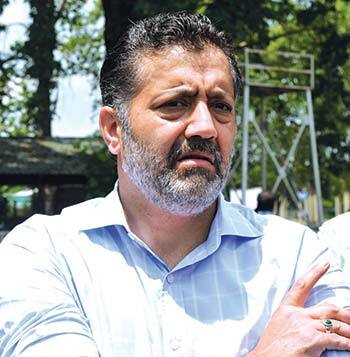 Chairman Jammu and Kashmir Legislative council Haji Anayat Ali has also expressed his solidarity with the Iranian spiritual leader, Iranian president and the nation and condemned the terror attack in Tehran. He further said that these kind of tactics will not deter Iranian people for their support to the oppressed people of Iraq, Bahrain, Syria , Yemen , Palestine and other parts of the world. Chairman and Chief executive Councilor Kacho Ahmed Ahmed Khan in a statement strongly deplored the terror attack on Iranian parliament and the mausoleum of Imam Khomeini founder of the Islamic revolution in Iran and termed Iran as the “nation which supports for humanity”. Executive Councilor LAHDC Kargil Aga Syed Arman and former Minister and senior National Conference leader Qammar Ali Akhone have also condemned the deadly terror attack In Iran.